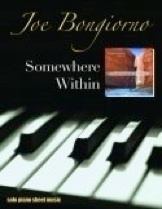 The Destined songbook contains all eleven pieces from pianist/composer Joe Bongiorno’s 2003 release by the same name. 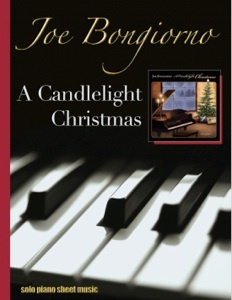 These pieces have been transcribed note-for-note from the recording, allowing pianists to see and feel how Joe played these songs on the album. Most of the music is relatively easy and should be accessible to players at upper-intermediate and early-advanced levels. 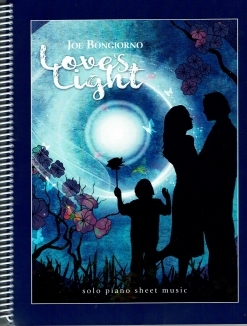 Joe Bongiorno’s music is very melodic and romantic, and most pieces are on the slow side, making them ideal for piano students of all ages. The music is printed on a high-quality heavy paper, and the spacing is roomy and easy to read. Two of the pieces are in the key of B (five sharps), which can be a bit challenging, but most have easier key signatures. A few songs have extended ledger lines, but problem notes are easy enough to pencil in for quicker identification. The collection includes the flute part for “Her Tender Heart,” a duet for flute and piano. 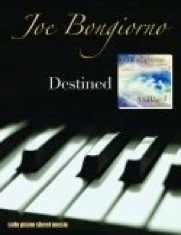 Destined will bring many hours of playing pleasure, and can be purchased directly from Joe at www.joebongiorno.com.